In my previous New Zealand posts I have repeated over and over that it’s is my favorite country in the world. It is so incredibly beautiful! 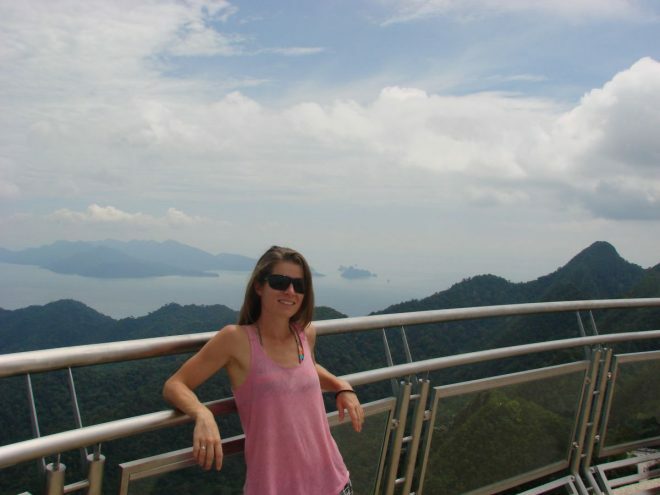 Together with my husband, I spent 6 weeks exploring the South and North Island and there are still so many places to be discovered, I definitely have to go back one day… Nonetheless, I have seen a lot on my trip and have done some very fun activities! 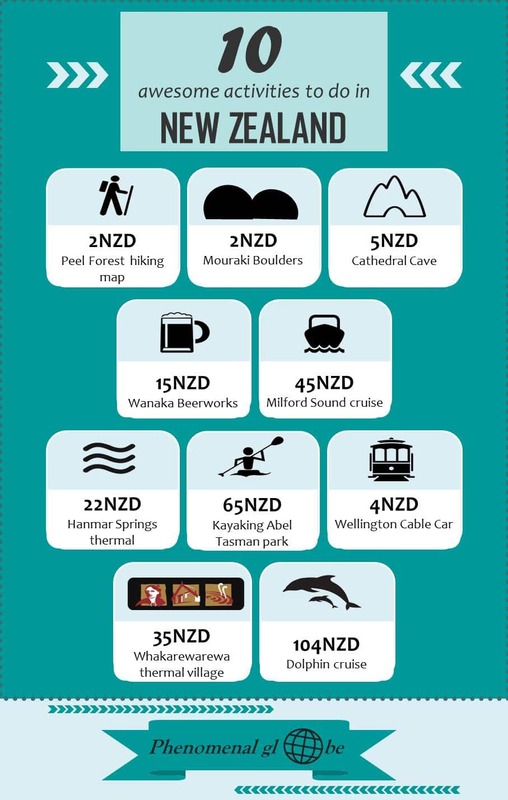 Cost of activity: 2NZD for the Peel Forest hiking map. You can buy the map at Peel Forest General Store, a very cute and very small store at the park entrance. Getting there: coming from the direction of Mayfield and driving to Arundel, take a right of route 72 just after crossing the Rangitata River. Peel Forest is clearly signposted from there. About: Lots of tracks to choose from but I choose three. First I did ‘the Big Tree Walk’ which lead to a huge Totara tree of 8,4 meter wide. It’s a really easy track, just about 20 minutes to get to the tree and back to the parking place. I continued on the ‘Acland Falls track’, which climbs quite steeply at some places and took me to a mystic looking waterfall. The last track was the ‘Kahikatea walk’ leading me through a swamp forest. I got a little lost, which is why this track took me about an hour and a half… As with most hikes in New Zealand, the tracks are clearly signposted (which makes me getting lost a little embarrassing;). Hiking in New Zealand is awesome, you feel like you are alone in the world. No noise, besides the relaxing rustling of the leaves and the singing of the birds. I did many hikes where I would just meet one or two people on the entire track, and sometimes no one at all! A big change for me, being from the Netherlands, where around 500 people live per sq. km (versus 17 people live per sq. km in New Zealand). I loved it, the peace and quiet and the feeling of totally being away from it all. Check the DOC site for more information about the hikes. Cost of activity: at the top of the short track to the beach there is a donation box, give whatever you deem appropriate. Getting there: it’s about 40km south from Oamaru, the drive along the coast is very scenic! Follow the SH1 towards Hampden, it is clearly signposted by the road. About: The Moeraki Boulders are odd. They look like they washed ashore from the sea, but they actually came from the rocks. There are some cool Maori legends about them, be sure to read these legends in the Moeraki information center when you’re visiting. Fun fact: Moeraki means ‘sleepy sky’. 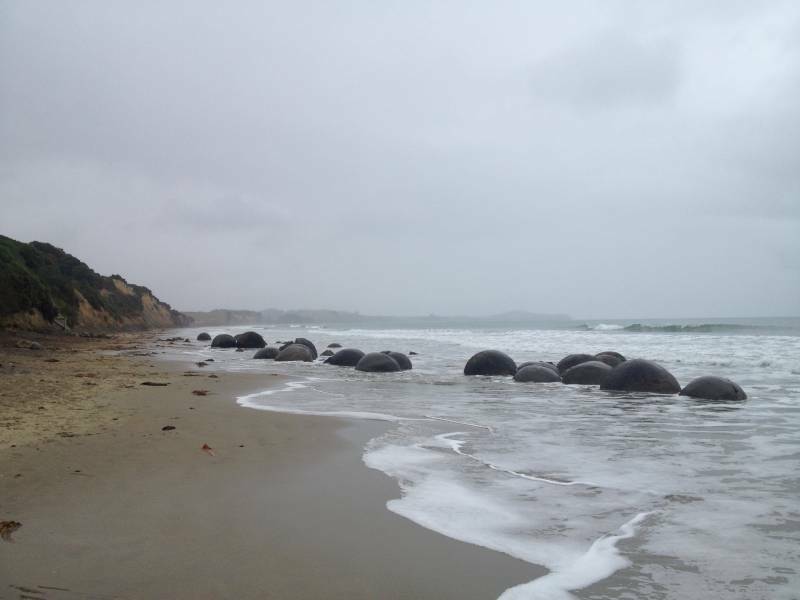 Check the site for more information about the Moeraki Boulders. 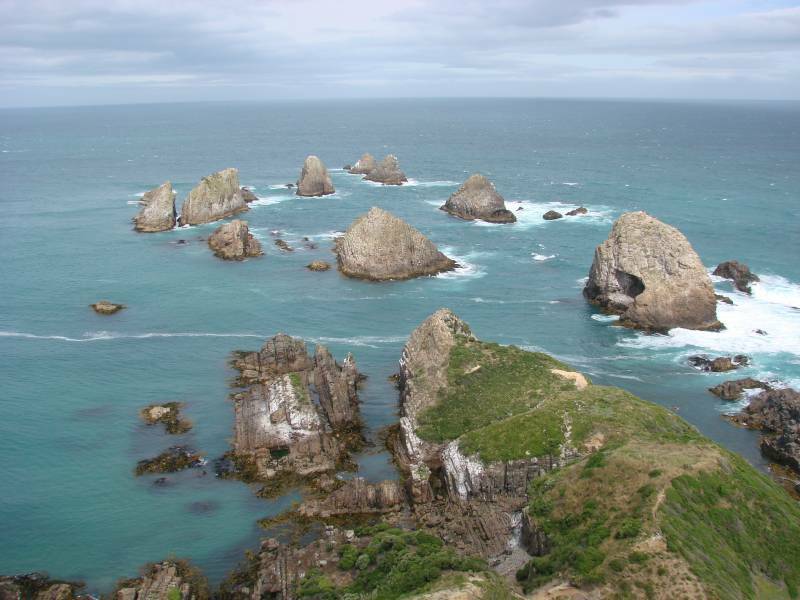 Getting there: from Papatowai, drive south along the Southern Scenic Route through the Catlins. You should do this anyway, even if you’re not going to visit the caves. It’s one of the most scenic routes in New Zealand! About 15km south of Papatowai you’ll find a little road on your left (a private road on Maori land) that leads to the caves. 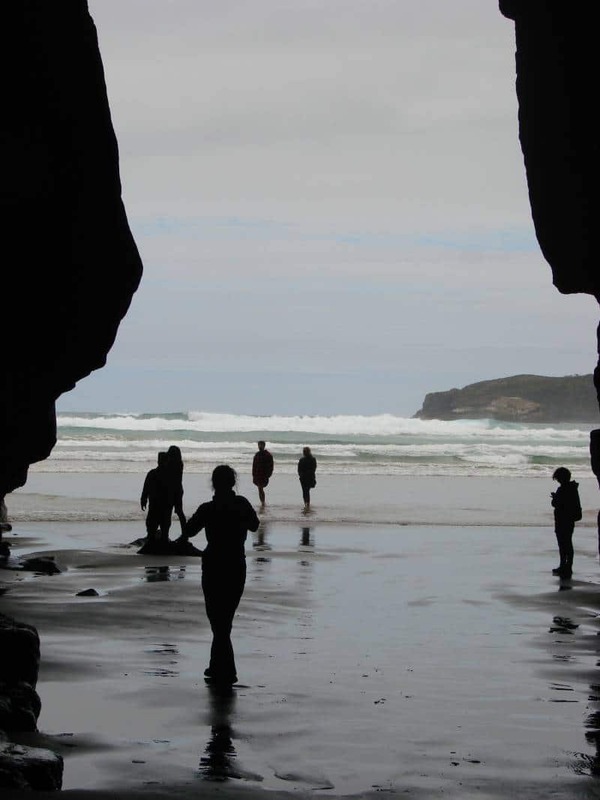 About: time your visit because you can only enter the caves during low tide. Unless you don’t mind getting your feet wet (or at high tide, everything up to your chin;-) There are two entrees into the cave (or an entry and and exit, whatever you want to name it) and you can walk about 200 meter through the cave. Bring a flashlight or your phone with flashlight app! Check the site for more information about the caves. Cost of activity: we went with Jucy Cruize and paid 67NZD for two adults. The usual price is 45NZD per person because we had a coupon giving a 50% discount for the second person. I found the coupon in one of the free AA travel magazines that you can pick up at any i-Site in New Zealand. Check the site for more information about Jucy Cruizes. Getting there: If you have your own wheels you can drive the amazing Milford Sound road (SH94) from Te Anau. Parking at the Milford Sound was free, at least when we were there, which was January 2015. If you don’t have your own transport, there are plenty of companies offering a package including transport (from Te Anau or Queenstown) by bus and a cruise around the Milford. About: the Milford Sound was formed by a combination of tectonic activity and glaciers. The Milfor Sound is 15 kilometers long, during the cruise you will sail through the sound until you reach the Tasman sea and then turn back. 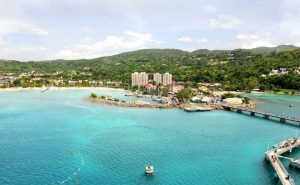 I went on a 2.5 hour cruise with Jucy Cruize, our cruise departed at 9:15am. Make sure you are there at least 20 minutes before departure time. The captain of the boat really knew his stuff and told us a lot about the discovery of the Milford Sound by famous Captain Cook, the color of the water, the countless waterfalls and much more. The wind was so strong, I was almost blown of the ship at one point! Fun fact: the color of the water in the Milford Sound depends on the amount of rain that has fallen. The more rain, the darker the water. This is because rain water is lighter than the salty sea water and is therefore floating atop the green sea water. 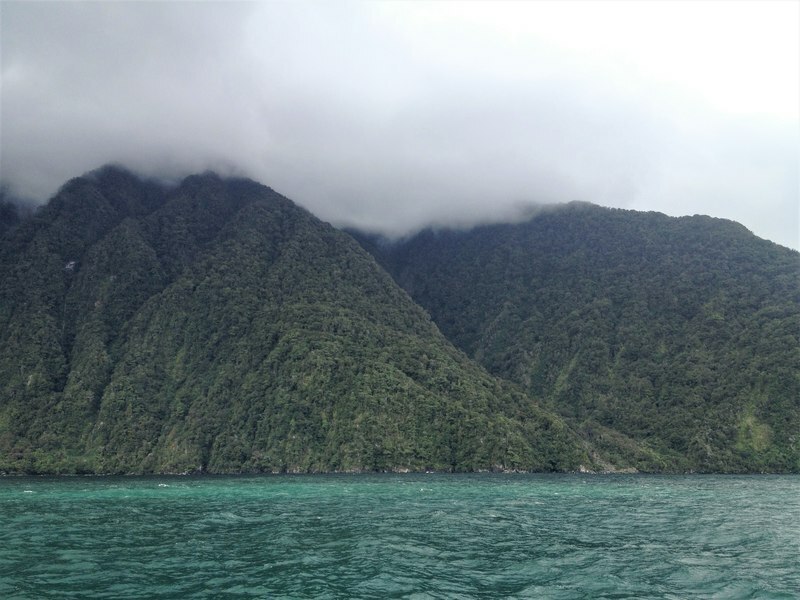 If there is no rain for a couple of day, the water in the Milford Sound changes color and slowly becomes more green, the color of the ocean. Interesting right! During the cruise we passed a couple of rocks where young seals were relaxing, so cute! Altogether, the Milford Sound is a really impressive part of New Zealand and one you should definitely visit. You can also go on a kayak trip around the Milford Sound. I have to say I did not envy the guys kayaking on the day I took the tour, the wind was fierce and it was raining. Great for the amount and size of the waterfalls, not so great when you are in a kayak… But it is an excellent way to get an even better feel of the untamed Milford Sound and the force of the elements. If you have more time and money to spend you can also visit the Doubtful Sound, if I remember correctly, it was around 350NZD per person for a 24-hour cruise. Getting there: you can find Wanaka Beerworks right beside the National Transport & Toy Museum and Wanaka airport (convenient if you suddenly feel very courageous after beer tasting and want to go skydiving;-). 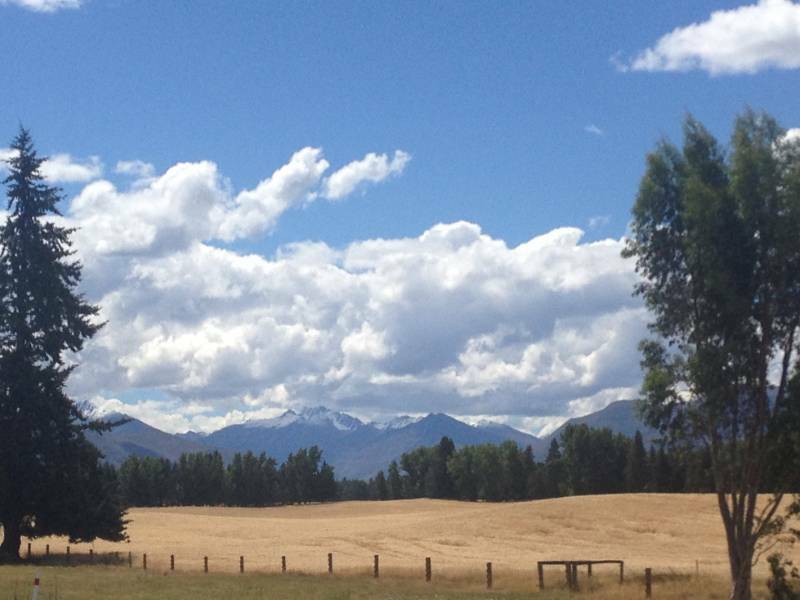 It’s about 8km from Wanaka along the SH6 6 towards Cromwell. About: Wanaka Beerworks is a small local brewery that makes craft beers. Our tour guide was also the owner and showed us the entire beer brewing process and explained about different kinds of hop and brewing. After the tour of the tiny brewery, that would fit in any reasonably sized garage, we sampled six different beers, from coffee beer to blond beer. Really tasty beers and very nice to be shown around by someone who is so passionate about his work. Check the site for more information about Wanaka Beerworks. Getting there: the address is 42 Amuri Ave, Hanmer Springs. From the SH7, depending if you’re coming from Reefton (take a left) or from Waipara (take a right), just drive to Hanmar Springs. The thermal springs are in the city center and there is plenty of parking space. About: I probably did not choose the best day to visit since it was about 30 degrees Celsius, making it hot whether you were in a bath or not. Nevertheless, trying out the various pools with different minerals and temperatures made it a very relaxing day. Check the site for more information about the Thermal Pools. Getting there: there are two routes to get to Marahau where the entrance to the Abel Tasman park is. Option 1: from Motueka, drive north on the SH60 until you see a road on the right (Riwaka – Kaiteriteri Road). Follow this scenic drive to Kaiteriteri, then continue on this winding road to Marahau. Option 2: instead of taking a right to Kaiteriteri, you turn left and then take an immediate right onto Riwaka – Sandy Bay Road which lead to Marahau as well. 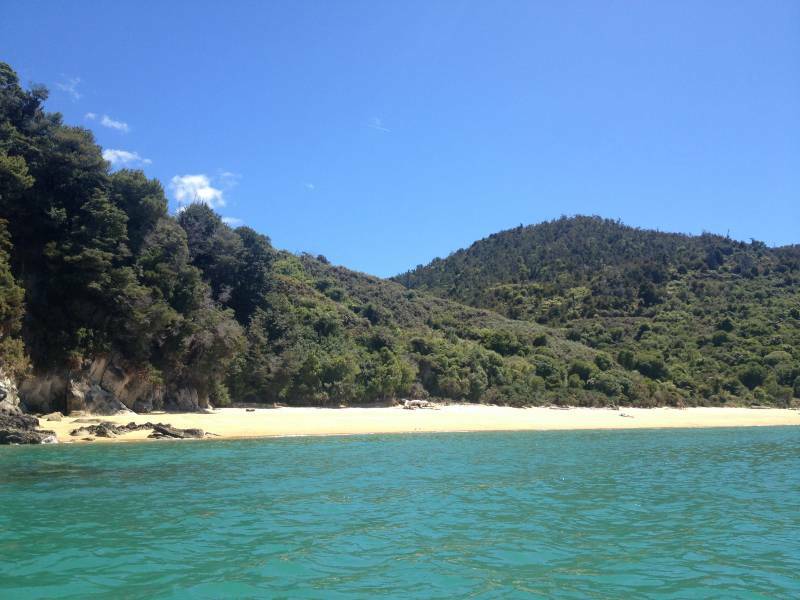 About: kayaking at Abel Tasman park was a definite highlight for me! It was a lot of fun and the nature is incredible. I was very lucky with the weather, blue skies and sunny, which really made it an amazing day. The safety introduction was a bit long but I have to give the guy credit for really making an effort to make it funny (crawling through the sand to practice getting back in the kayak in case you would fall out). Four hours of kayaking around the beautiful bay was enough, the wind was quite strong at the open sea so getting to an island a few hundred meters from the beach took some hard work! The surroundings were stunning though and definitely worth the effort. An absolutely recommended activity! Check the site for more information about Kayaking at Abel Tasman Park. 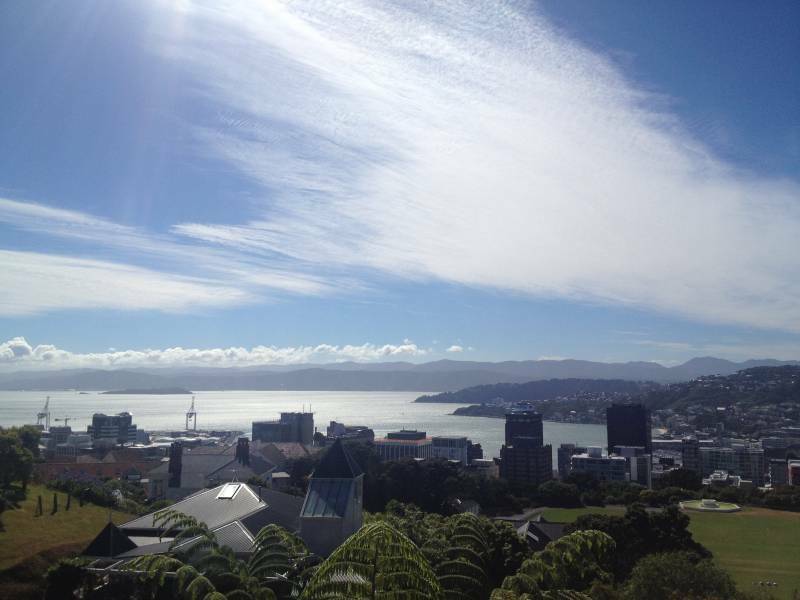 About: I think Wellington is the coolest capital in the world. It’s not too big and not too small, there is a boulevard, nice shops and cool cafes, the Te Papa museum (an absolute must visit!) and the famous Wellington Cable Car. A short ride to the top gives you a fantastic view over the city and the bay. You can ride the cable car down as well, but another option is to casually stroll through the Botanic Gardens, making your way back to the city center. Check the site for more information about the Wellington Cable Car. 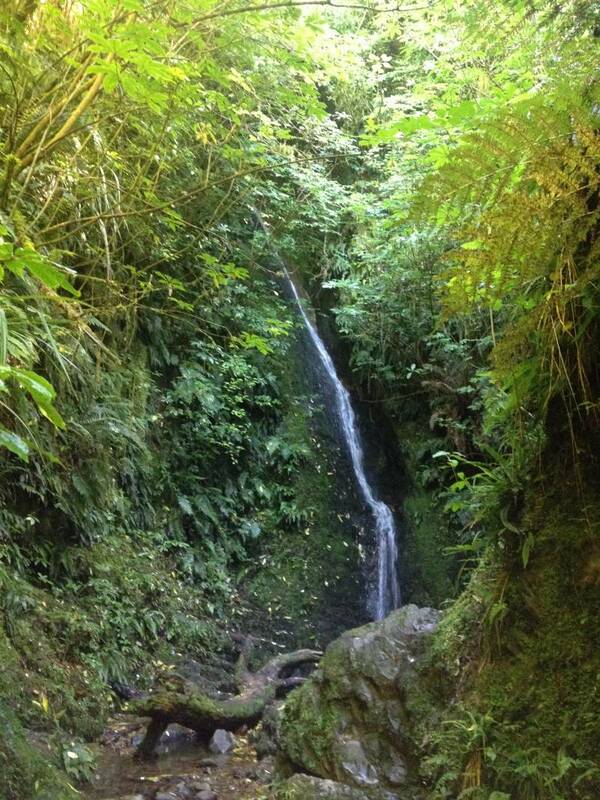 About: after I got used to the smell of sulfur (aka rotten eggs) I found it an incredibly interesting place to visit! All the tour guides are Maori women who actually live in Whakarewarewa. Our tour guide enthusiastically told us about village life and the use of the hot pools. These pools are used for cooking and bathing. The mud of the pools is used for all sorts of creams because its full of minerals, apparently it does wonders for your skin. Nope, nothing goes to waste at Whakarewarewa! A fun fact we learned from our guide: a couple of decades ago, the Maori Village Chief decided that half the village would be catholic and half the village would be protestant. Two churches were build and from that day on 50% of the village went to the catholic church and 50% went to the protestant church. Besides going to their respective churches, the Maori living in Whakarewarewa also worship their ancestors. Worshipping ancestors is very important in the traditional Maori society and so they combine these religions. From Whakarewarewa you can also see the famous Pohutu geyser! Good to know: guided tours start every hour (on the hour) and are including in the ticket price. The cultural performances are at 11.15am & 2.00pm. 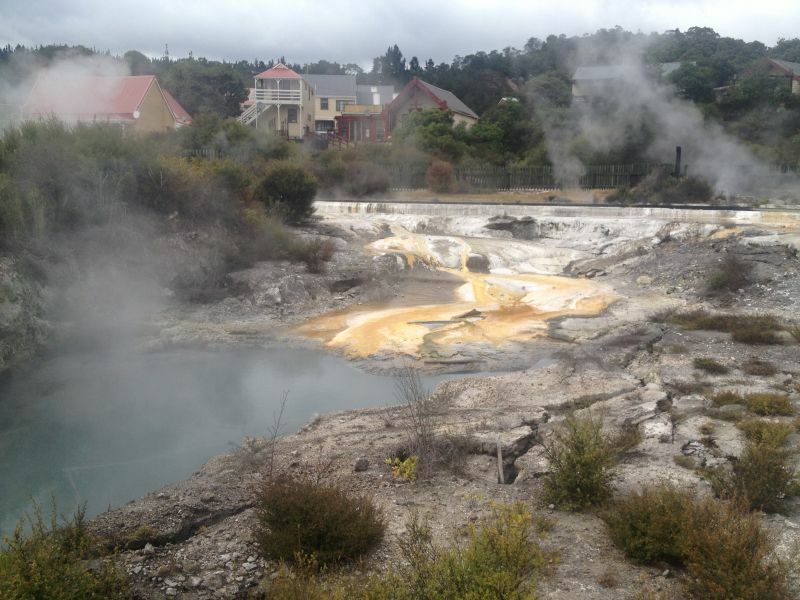 You can also enjoy a geothermal hangi meal, learn more here. Getting there: drive up the SH1 from Whangarei, get onto the SH11 at Kawakawa and drive to Paihia. However, I am still a little disappointed in this tour, because my dream was to swim with dolphins and I didn’t get to do that. Don’t get me wrong, the tour was great. It’s just that New Zealand is one of the best ecotourism destinations and has very strict regulations about swimming with dolphins, which I totally support! One of those regulations is that you cannot enter the water if there is a baby dolphin in the group. Which was the case on my tour. Little Hobbit, a little dolphin born on 12-12-12, whose feeding pattern would be severely disturbed if every tourist visiting the Bay of Islands would jump into the water to swim along him and his mother. I completely understand. But it was disappointing. Swimming with dolphins is still a dream of mine, maybe next time… Check out more destinations for amazing wildlife experiences here. Check the site for more information about swimming with dolphins. 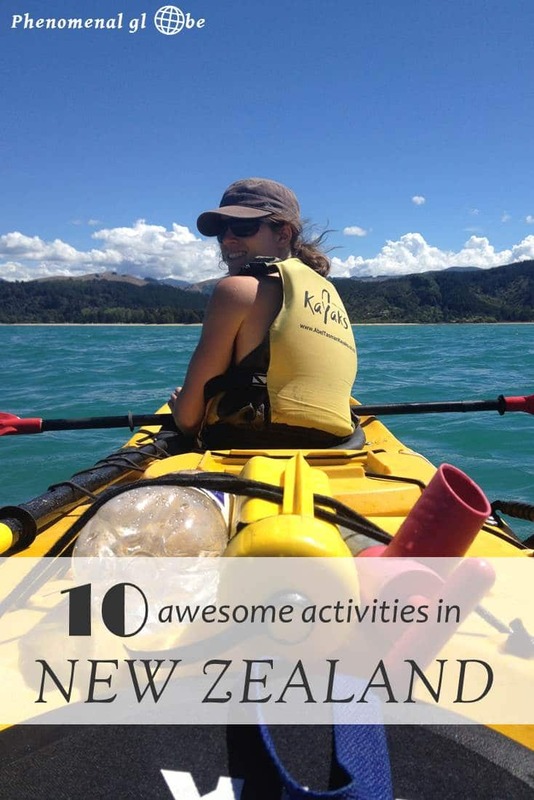 10 best things do to in New Zealand: where to find them? In the map below you can find all the activities mentioned in the post. You can download the activity infographic and map here! 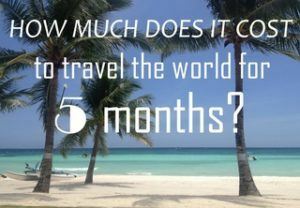 Check my budget breakdown infographic if you want to know more or the costs of traveling in New Zealand and our 6 week road trip itinerary for all activities (lots of sightseeing spots and beautiful hikes, completely free of charge) we did and a map of our trip. This post has been updated in August 2018. Thank you Kira, I am glad you found it helpful:). Enjoy your trip to New Zealand! It really it the most beautiful country in the world, so I am sure you’ll have a great time. Interesting choices and super photos.